In the news, EMV is a topic in a recent EMV Migration Forum webinar and at the PCI North American Community Meeting. A presentations shows how to stop a POS hacker by taking the hacker’s point of view, and a new technology could make unattended convenience stores a possibility. The National Retail Federation (NRF) and the EMV Migration Forum presented a webinar on when and how to enable the acceptance of the new EMV cards. Webinar topics include the status of U.S. migration and tools to begin project planning for chip card acceptance implementation. A recording of the webinar Merchant Considerations for U.S. Chip Migration is available for viewing. PCI’s new general manager Stephen Orfei spoke at the council’s annual North American community meeting in Orlando, FL. Orfei succeeds the council's former GM, Bob Russo, who is set to retire at the end of the year. EMV migration was a topic of the meeting. In an interview with SCMagazine.com, Orfei says the technology wouldn't serve as a silver bullet for payment security, and once EMV is deployed, IT solutions providers will have to turn their attention to securing “card-not-present environments,” where criminals will try to avoid cardholder verification requirements. IT Business Edge features a slideshow from AlienVault, showing a step-by-step of a “hacker’s point of view” showing what he or she would do to breach a point of sale (POS) system. According to the Identity Theft Resource Center, more 500 data breaches have been reported in the United States this year. ShelfX has developed at-shelf buying and inventory management technology that can enable customers to shop without product scanning. 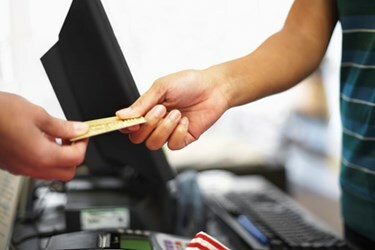 According to a press release, to enter a convenience store, a shopper would wave a pre-paid card or swipe a credit card. Shoppers use their cards again at the shelf or fridge to select products. The press release points out that shoppers can pick up products and return them to the shelf without being charged. The total charge shows on display units at the shelf and are deducted from the shopper’s account. For refrigerated cases, closing the door ends the transaction.